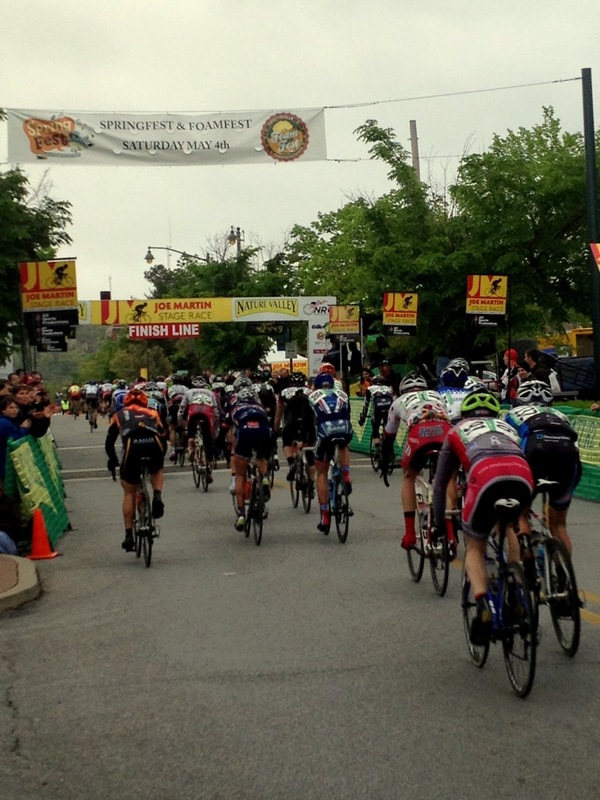 The 36th running of the Joe Martin Stage Race has come and gone. The dust drizzle has settled. The sun finally came out. Bruce and the All Sports Production crew did such a great job running this monster event. The amount of people and equipment involved is on another level. 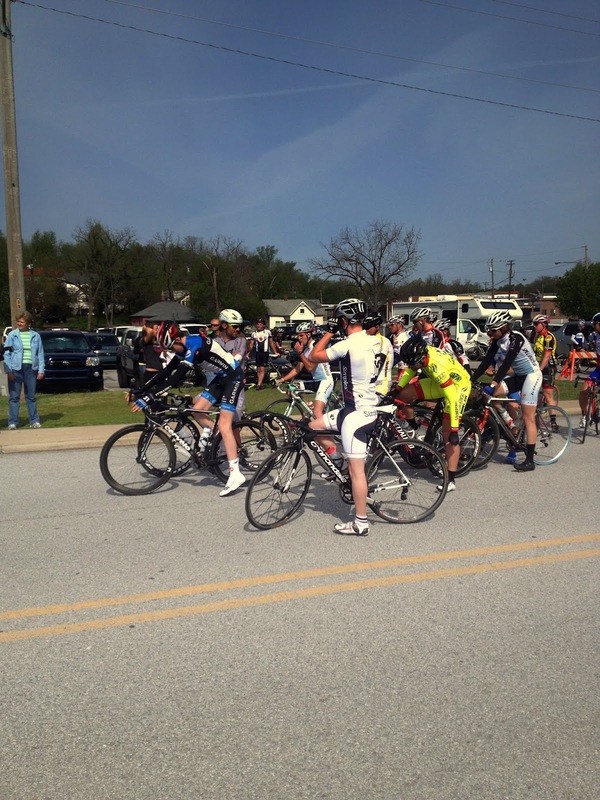 More than 150 professional and over 400 amateur cyclists came in for 4 days of racing through the Ozarks. 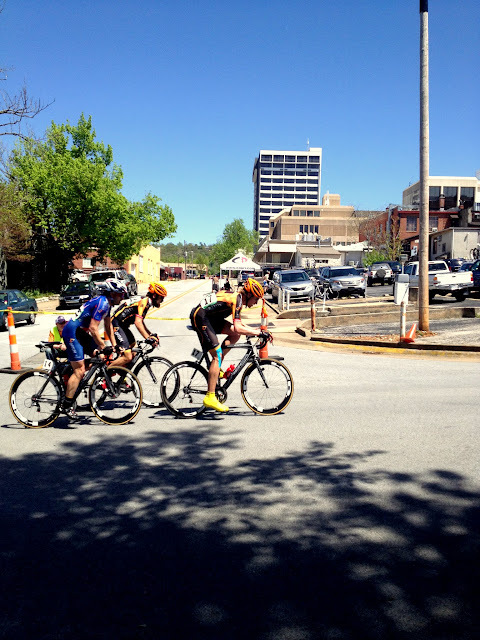 Watching them roar through downtown Fayetteville was an awesome sight. This year I decided not to race. It was actually great to be a true spectator. I wish bicycle racing was more popular in Arkansas and the US. The sights, sounds and speed of the peloton negotiating a criterium course like yesterday is awe inspiring. Bicycle racing is a beautiful spectacle for so many reasons. There are not many sports where the arena or stadium are roads the very roads that we all use to get ourselves from point A to B. 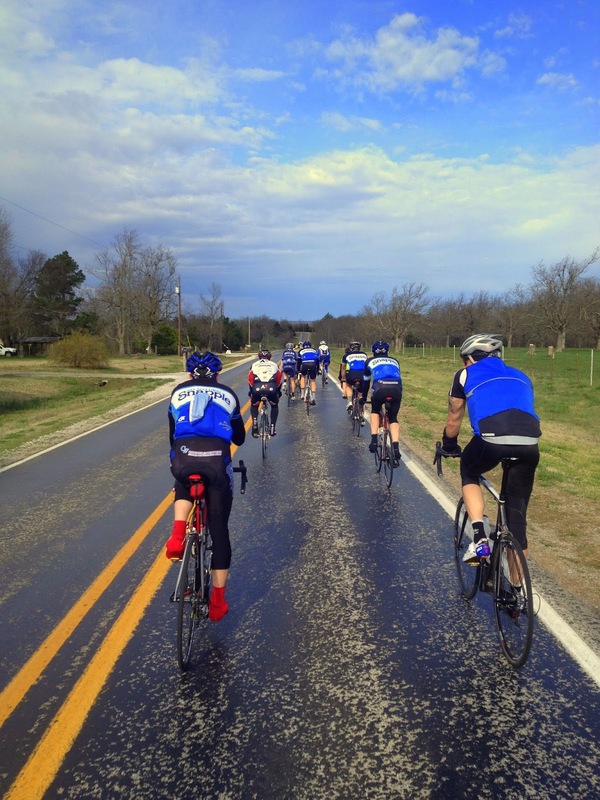 Anyone can go ride the roads that the super bowl of cycling plays out on. Very few sports allow you to spectate at the same level that the athletes compete. Your not stuck in the stands looking down on a stage. 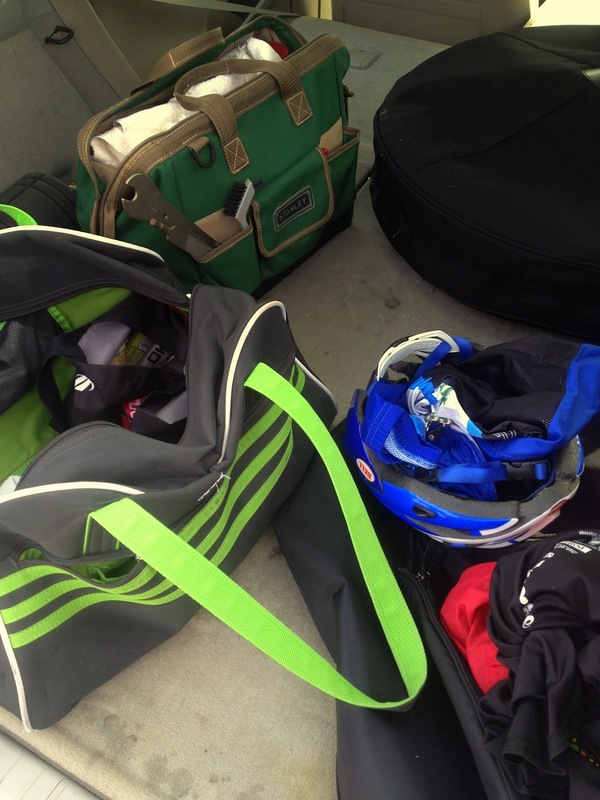 In the US the athletes are accessible. Heck some of them will crash at your pad if you volunteer for host housing. It was just a cool scene at Church Hill on Sunday. Not exactly sure what it will take to popularize the sport even more. There's no more 'Lance effect'. 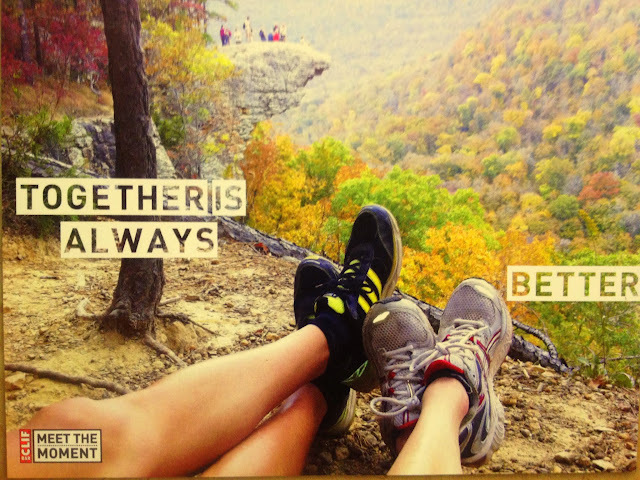 Who is going to be the next great American story for all of us to latch onto? JMSR is a great event. Being a fan of a sport you can participate in is just very cool. 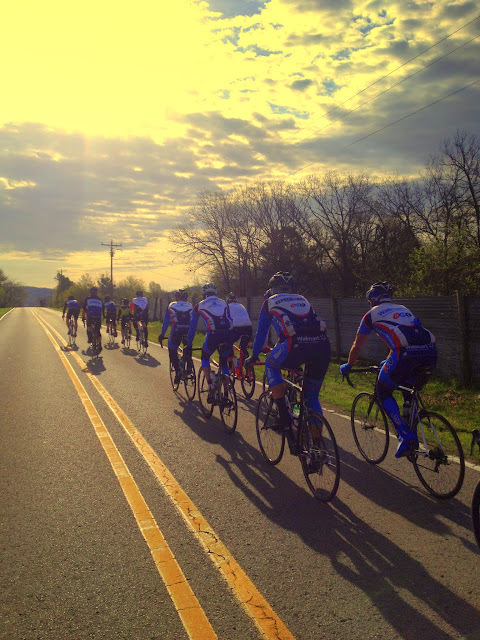 Friday they finish near the top of Dickson Street after 110 miles through the wild Ozarks. It's an awesome sight when they round the corner. 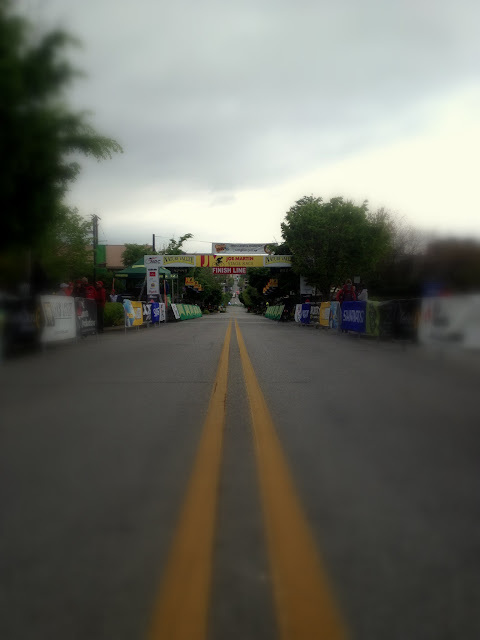 Sight for sore legs..FINISH LINE. Let's eat! When on Dickson...eat at Bordino's! 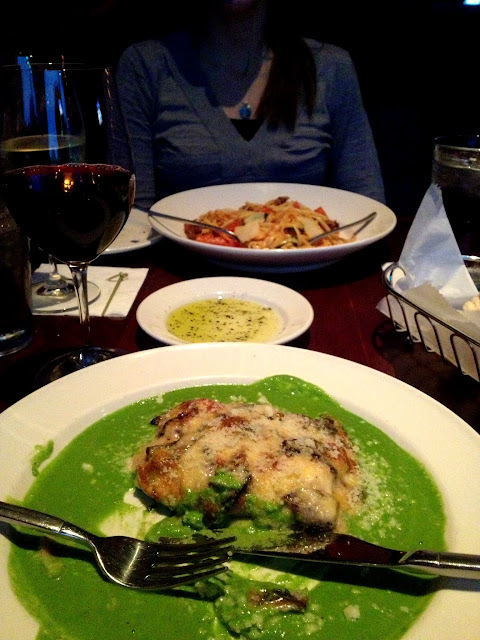 Portobello Mushroom Lasagna Ricotta, Bechamel, Mozzarella, Smoked Gouda, Basil Pesto. It's better than gooooood. The Saturday Ride. Working are way over to the race course. 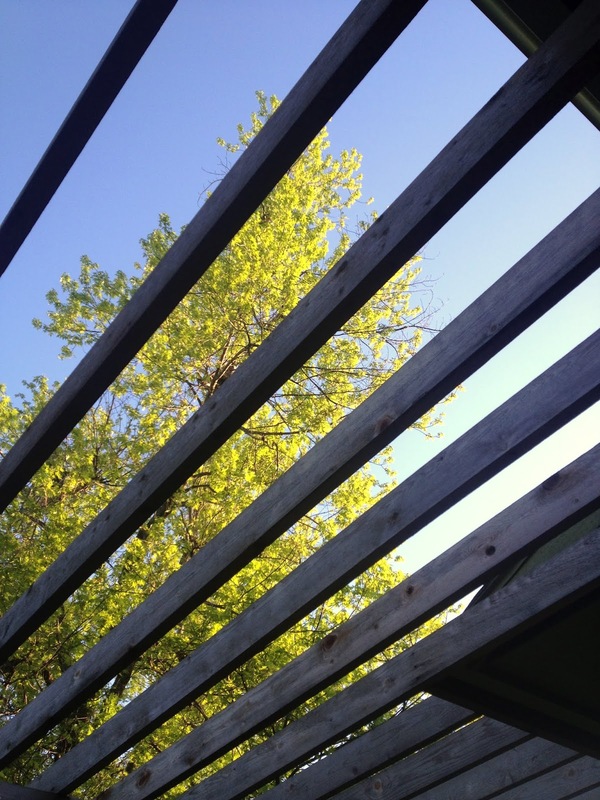 Rolling enclosure #4. High five from the moto ref. Turtle on a log. Sunshine! Almost a proper bike lean on Green Woolsey bridge (that's for you Jason). 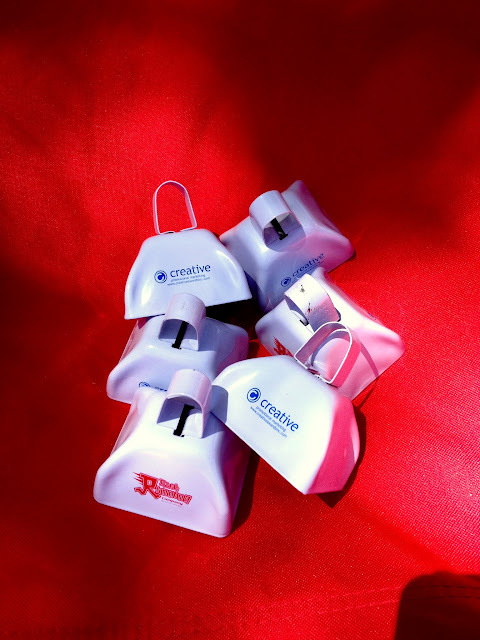 Big thanks to Steve & Natalie for hooking us up with cowbells & t-shirts. 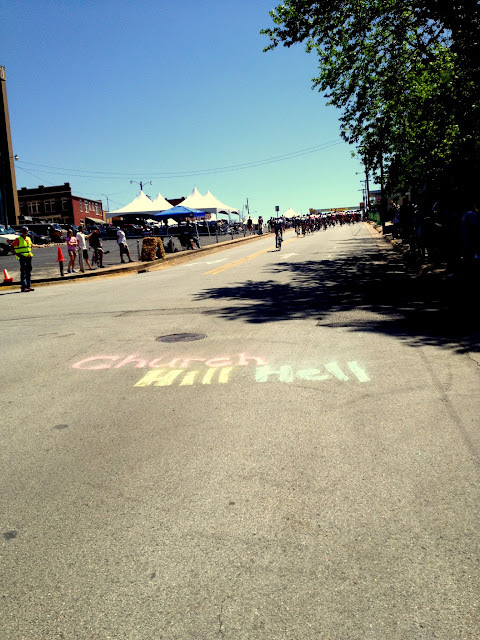 CHURCH HILL! "That's too much bacon," said no one -- ever! 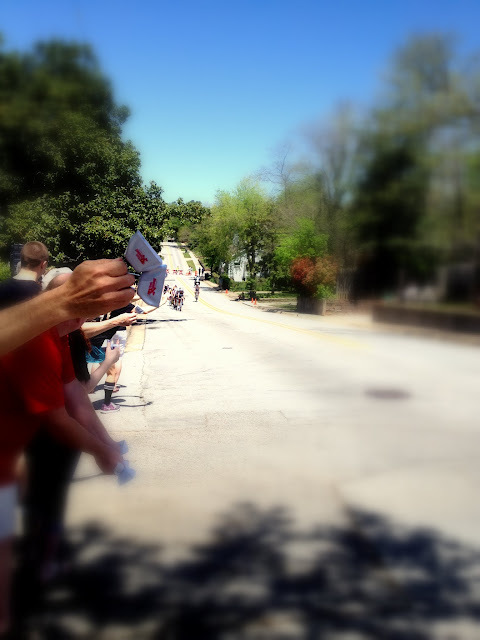 Bacon hand ups on Church Hill. Pro men..getting the business end of cowbells. The snake is about to strike. When operating a cowbell or multiple cowbells it is important to lean properly and focus on your form. You want to reduce the risk of injury as much as possible. Natalie showing us how it's done. Yeah! 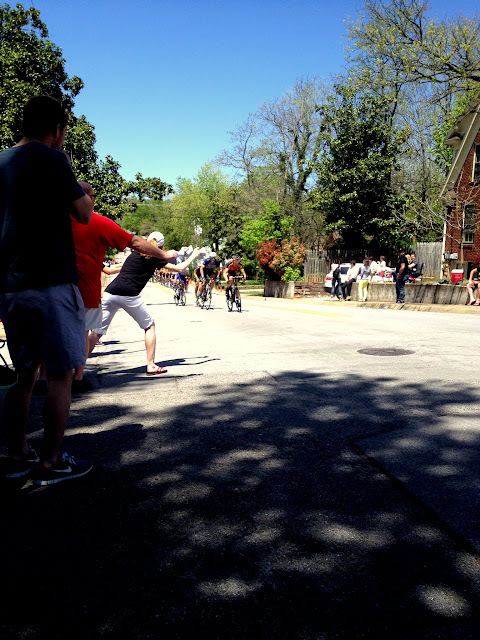 The break with 12 eternal seconds on Church Hill. The hill is not complicated. You just have to go up it so many stinking times. Finish line at the top. Props to Tom. 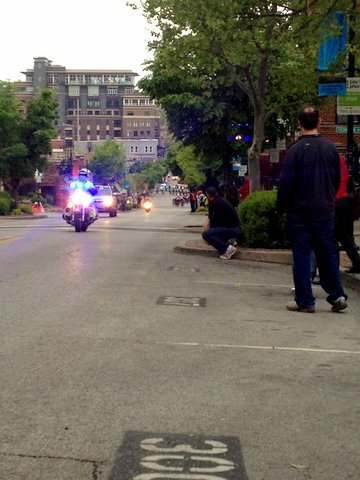 He was on the front most of the time coming up the hill. Riding for his teammate who leads the general classification. Let's eat! 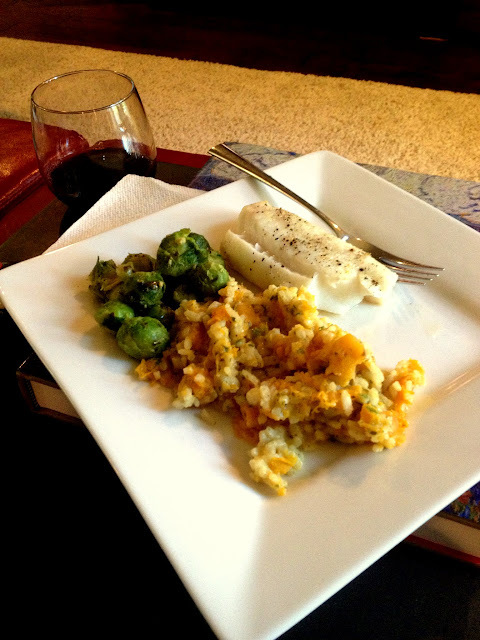 Cod, Brussels Sprouts and Risotto. Paige added butternut squash to the risotto. It was killer good. That grrr can cook! 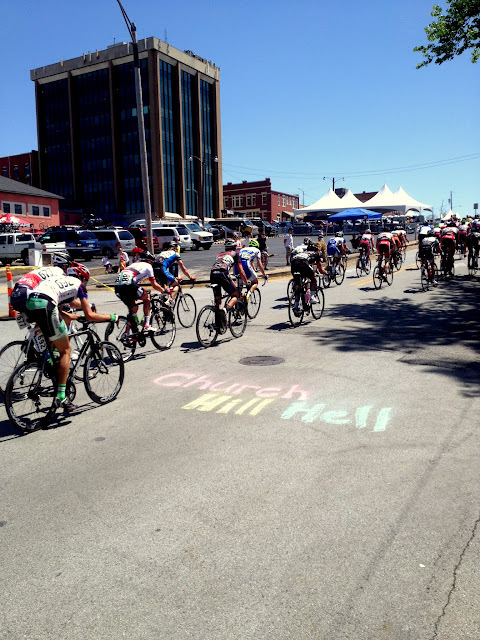 We raced over in Harrison Arkansas on Saturday. Any opportunity to ride the Jasper Disaster route is well worth the trip. 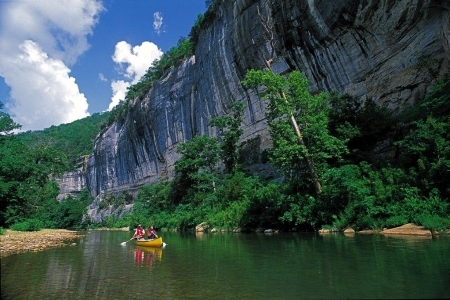 The Buffalo River Valley is one of the most beautiful places in the Natural State. 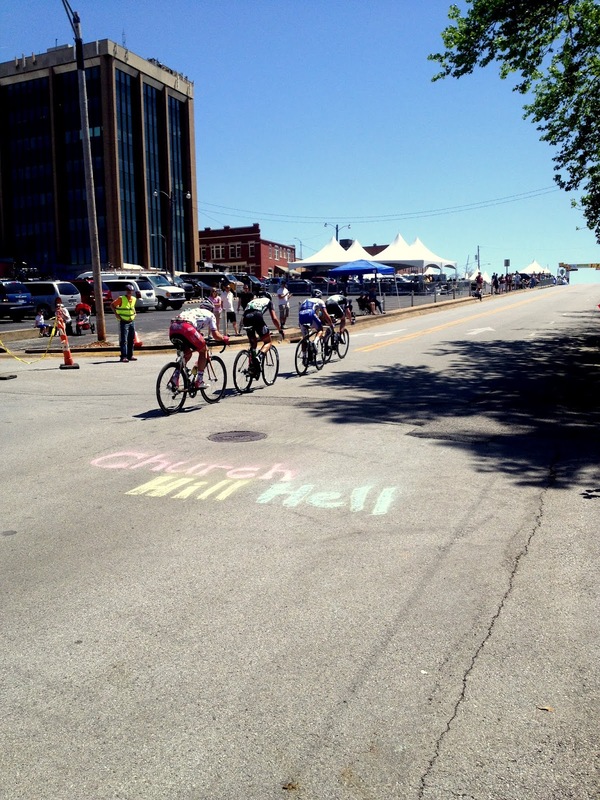 The race is put on by the City of Harrison. It's great when communities get behind events like this. 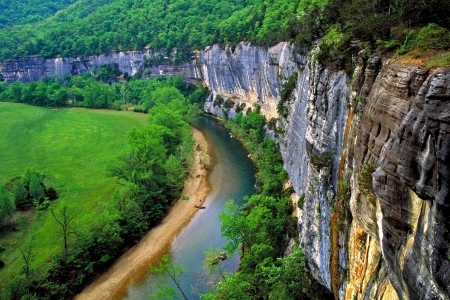 The city seems to be working really hard at making their town a springboard to exploring the Ozarks which is really cool. 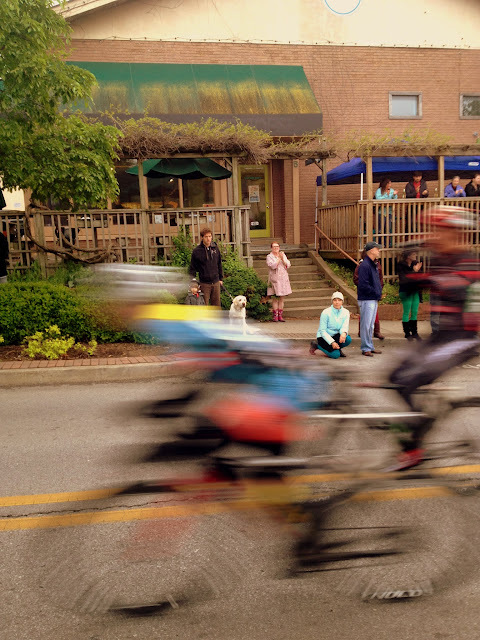 The unique features of the race are two 20 minute climbs Mount Sherman (3.3 miles, 7.1% avg) and Ponca (4 miles, 5.9% avg). 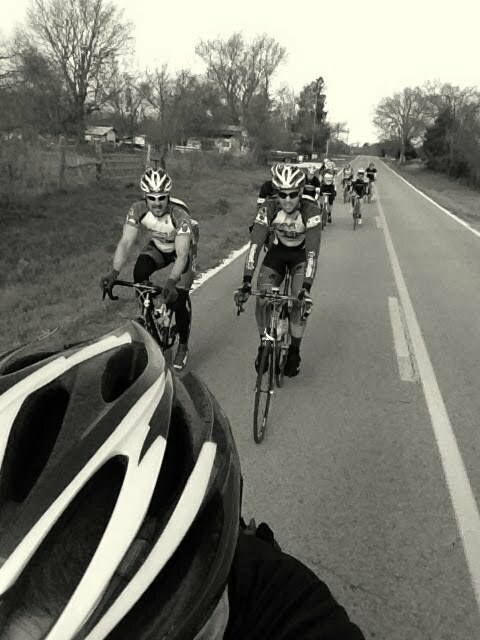 5000 feet of climbing in 58 miles is a solid day. The descents are white knuckler's hitting speeds over 50 mph. At several points I forgot I was racing for a few seconds with such stunning views. This is one of those races that even if you get dropped it doesn't matter because your riding in such a beautiful place. My teammate Lance took a flyer from the neutral zone and we wouldn't see him again until the Ponca climb. We crawled along for the first 15 miles or so with Sherman looming in the distance. I knew the skinny kids would ramp it up as soon as the road tilted and decided long before that I would ride hard but my own rhythm. I could see the selection just ahead. If it weren't for Chad (BMC) I might have really blown. Chad is from Harrison and knows the climbs all too well. 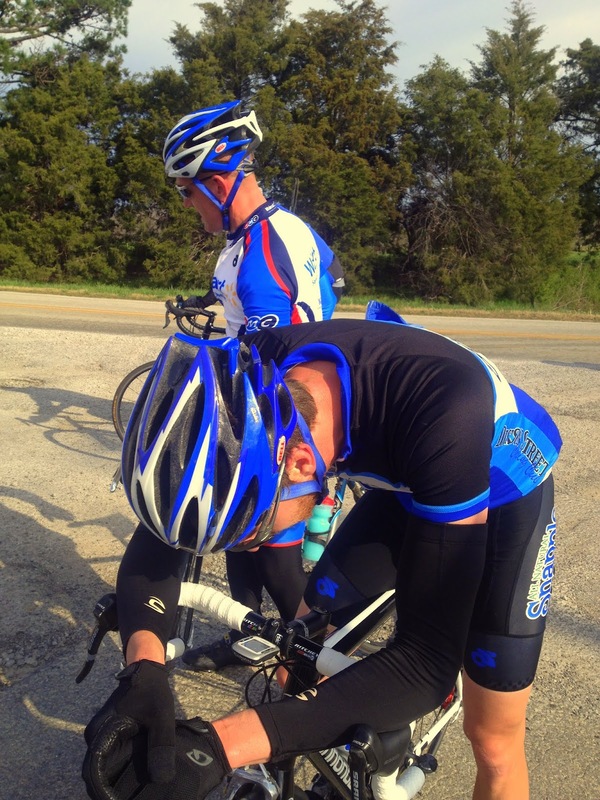 He was using his power meter to skillfully gauge his effort. We picked up a couple other guys who got shelled and worked together to catch back on. Moral victory #1. There is a 10 mile rolling descent into the Buffalo River Valley and it is scary awesome. 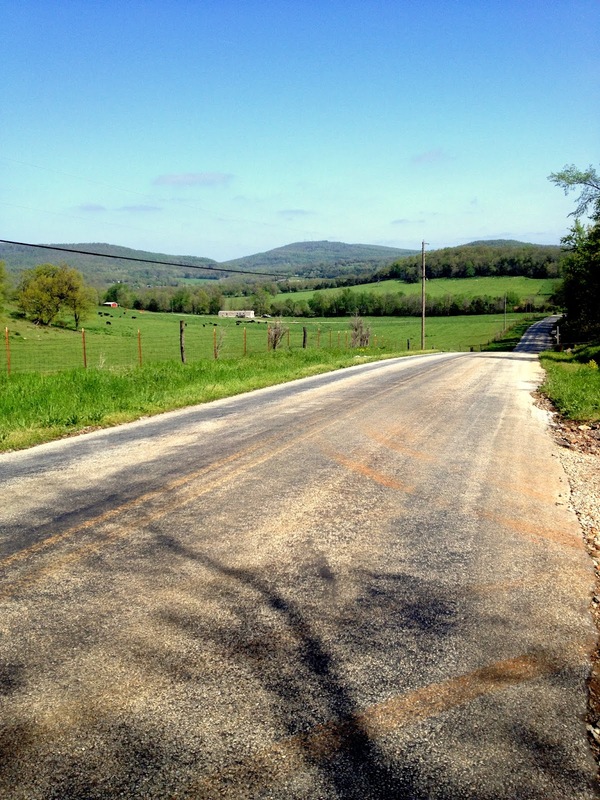 From there the road turns back up and the Ponca climb claims the next victims. 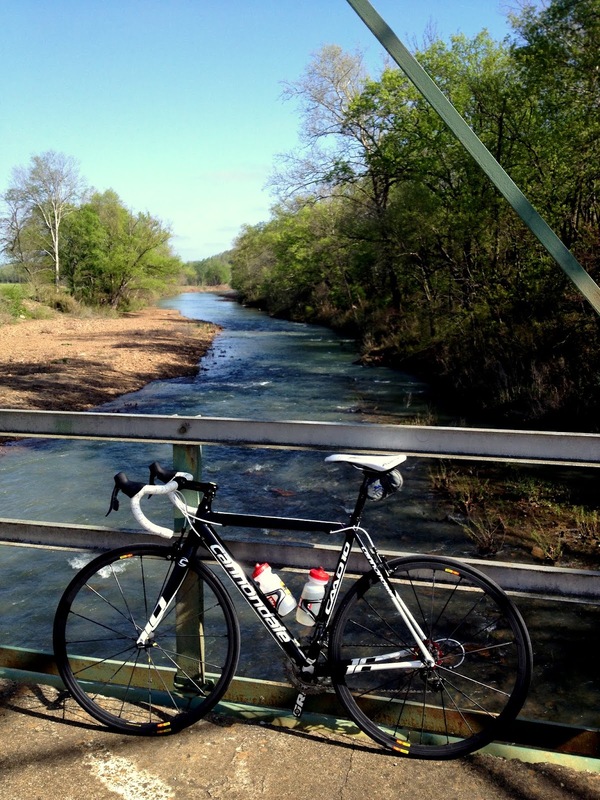 I think the Ponca climb is mentally more difficult. It teases you into thinking it's done and then you round the corner only to see another long ramp waiting. Luckily I was with Chad again with a steady pace and his knowledge of the climb we worked together to keep the group of six in sight and eventually caught back on. Moral victory #2. Making the selection is always a great feeling. The group quickly started rotating. 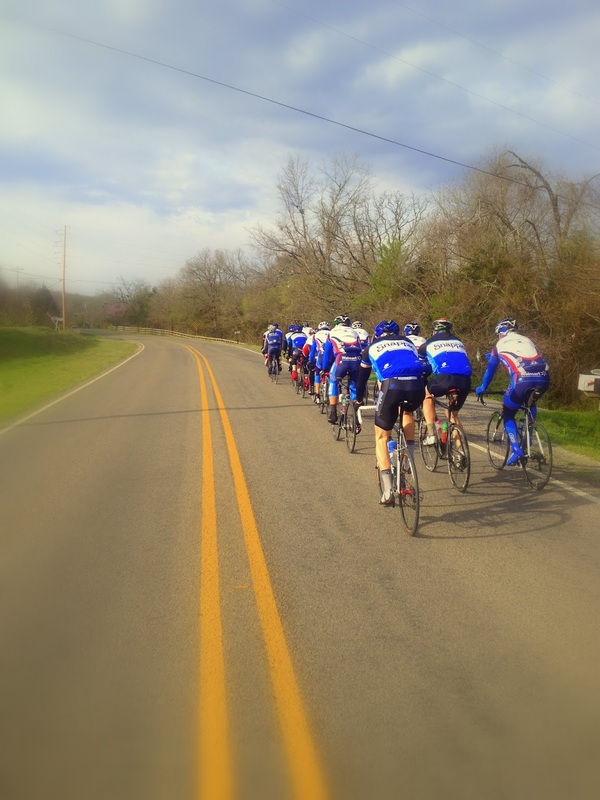 I wish every group ride was like this. 8 of us just tapping out rhythms on the pedals it was like making music. Once we descended the mountain we had about 6 to go and the group sat up for a bit to take our last sips of water and nutrition. A sign that the unity was over. I talked to my teammate Scott and he was feeling good. I haven't been able to sprint at all this year so I told him I would start attacking the group to soften folks up. They wouldn't let me get away but it was fun to run tactics in the final. The finish doesn't fit this race. It's a downhill straight drag which is the opposite of all the climbing you get to do. I could have used another high gear. In the end we fell just short of the win but it was a great group of guys to mix it up with. Registration is in the Brandon Burlsworth Youth Center. Tons of inspirational quotes on the walls. 118 for 3 hours on Saturday. Lunch on the bike, stunning landscapes & perfect weather. Bicycle goodness. Category 1,2,3's had a small field that included a Garmin devo. rider and Jelly Belly pro. Glad I wasn't in that race. Lining up for roll call. Big thanks to Chad for sharing his knowledge of the climbs and working with me. 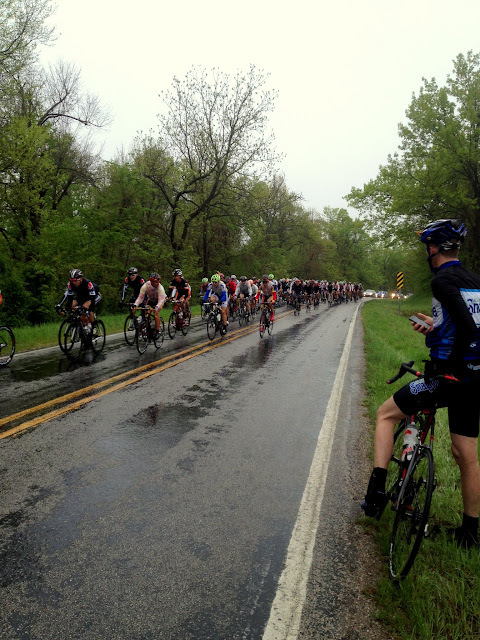 Chad promotes a circuit race called Crawdad Kermesse in May. 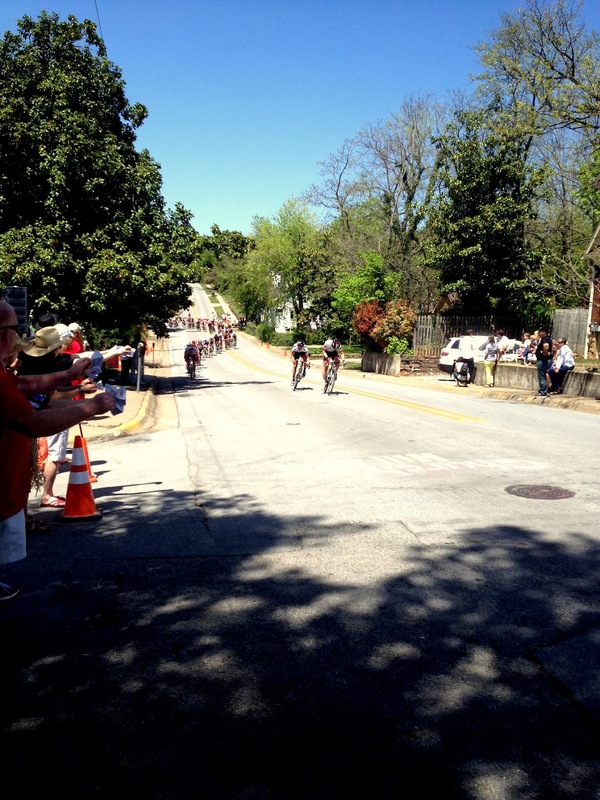 Another fun race in Harrison that is in conjunction with the Crawdad Days Festival. Check the link below for details. Let's Eat! 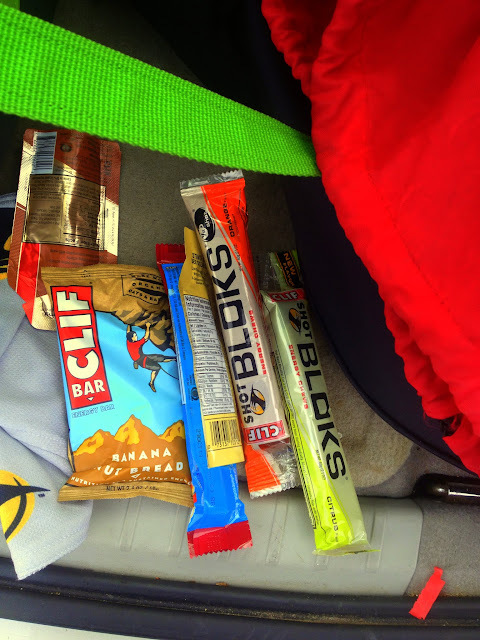 Not many events provide chow for it's participants. Just another plus for the Tour de Hills. Thanks! 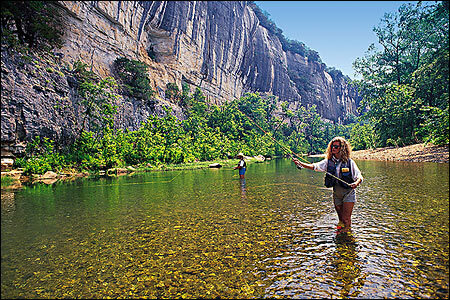 Time to kick the feet up and enjoy spring in the Natural State. Joe Martin Stage Race loop. We previewed the JMSR loop on Saturday. 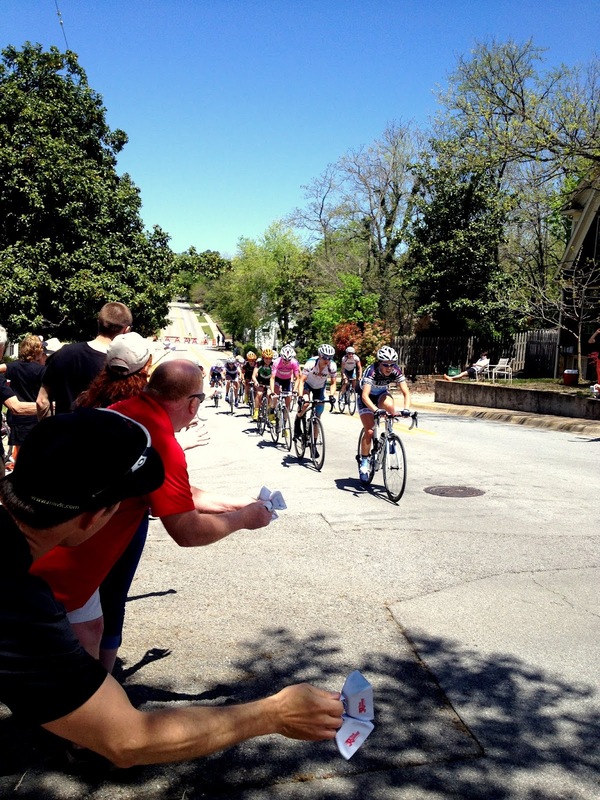 JMSR is the largest and most storied bicycle race in the Natural State. This year the event celebrates 36 years of bicycle racing. 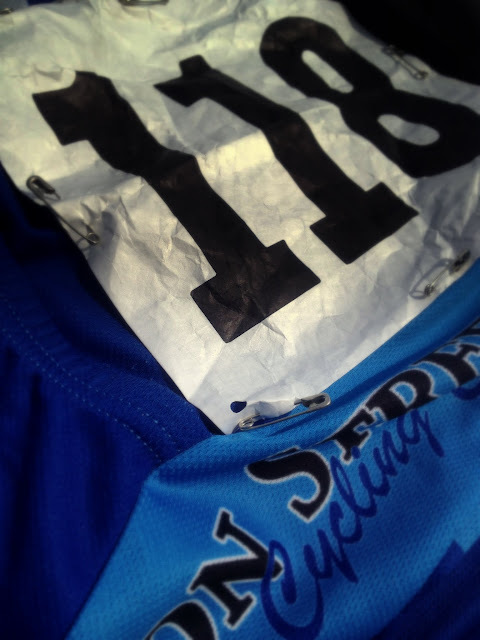 It's been on the National Racing Calendar (NRC) for 11 years. The national designation means professional cyclists from all over the US and many other countries will be coming with their teams to compete for points and prize money. Having a national level race right here in your front yard is pretty awesome. 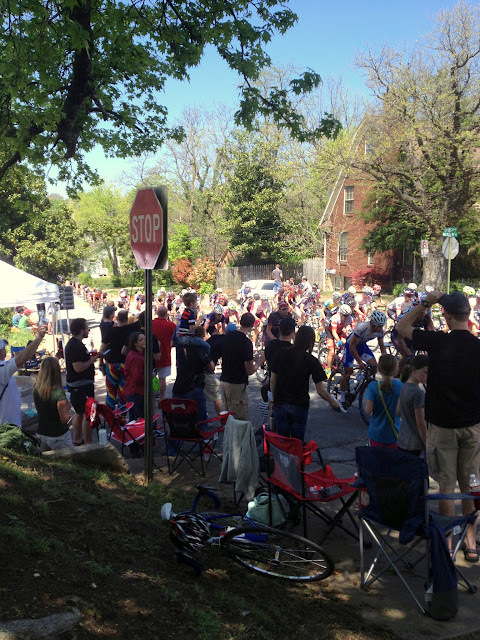 The event literally takes over Dickson Street and the Fayetteville downtown area for the criterium stage. One Sunday about ten years ago I stumbled upon this great spectacle. 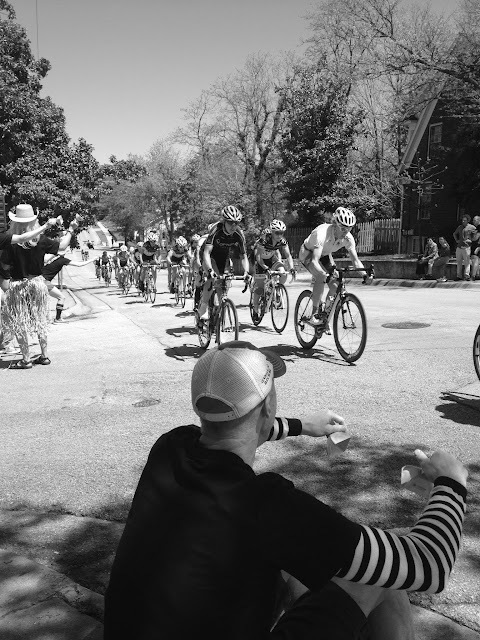 Standing on a corner at the bottom of Dickson I watched the PRO field come through and was immediately drawn to the speed, sounds and breeze of the passing peloton. Not long after that I would toe the line at my very first road race. We had a great group show up for the ride. 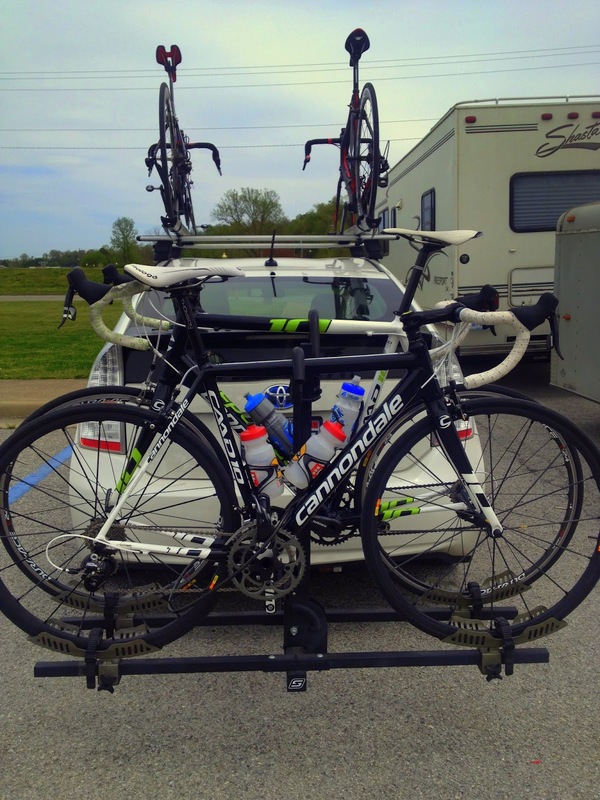 The BMC guys came down from Bentonville. It's always fun to mix it up with different teams. 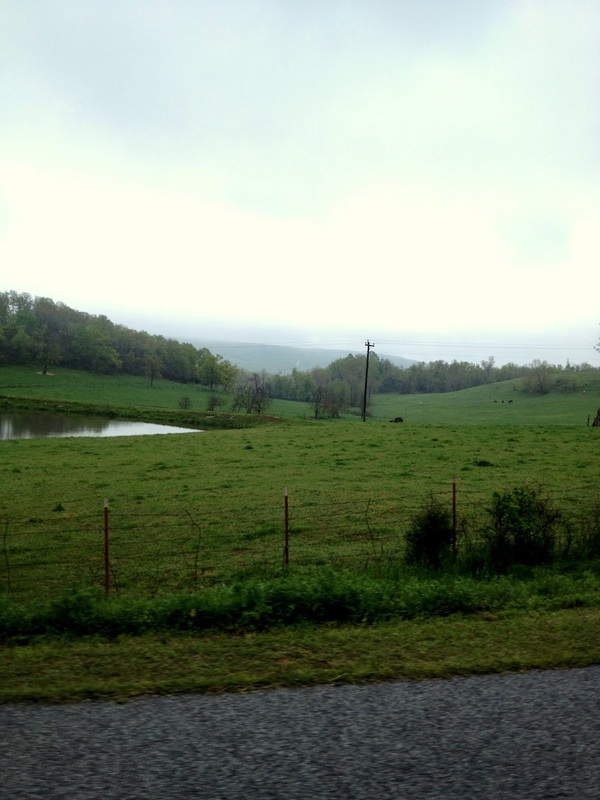 When the road turns up or a city limit sign looms you can bet it will be even more spirited. At the end of the day we are all just folks who like to ride bikes. Good times. In good company. For more information on JMSR check the link below. April 25-28th. Stopped to appreciate the daffodils in front of Old Main. I know...I'm a dork. With Snapple & BMC there is a lot of blue in the NWA peloton. 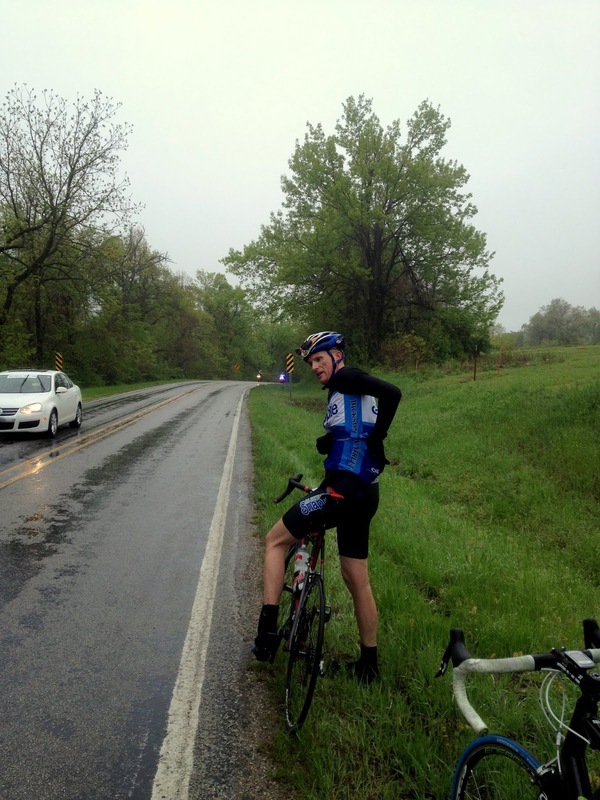 Once you turn on to 156 you are on the 23 mile loop and going uphill toward the 'wall'. 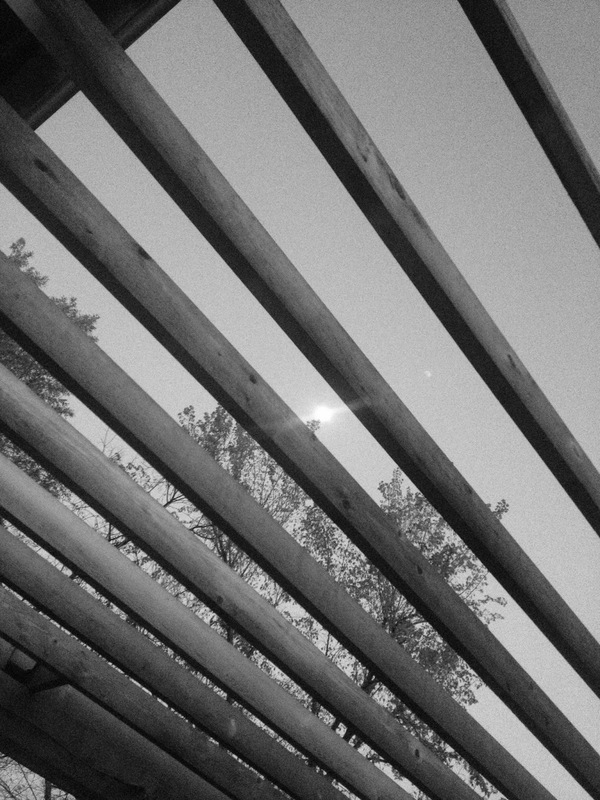 The weather was near perfect. The rain held off just until the very end. The last roller (true top) after turning onto 170. Wind & gravity, the two biggest obstacles in cycling. First of two regrouping points. From here we ride on top of a ridge for several miles. The views are great. You don't get to appreciate them as much during the race. Second regrouping point. Hogeye 'Mall' gas station. It's not exactly a sidewalk cafe. From here we head back in sprinting for signs and emptying the tank. A great stretch of road. Let's Eat! 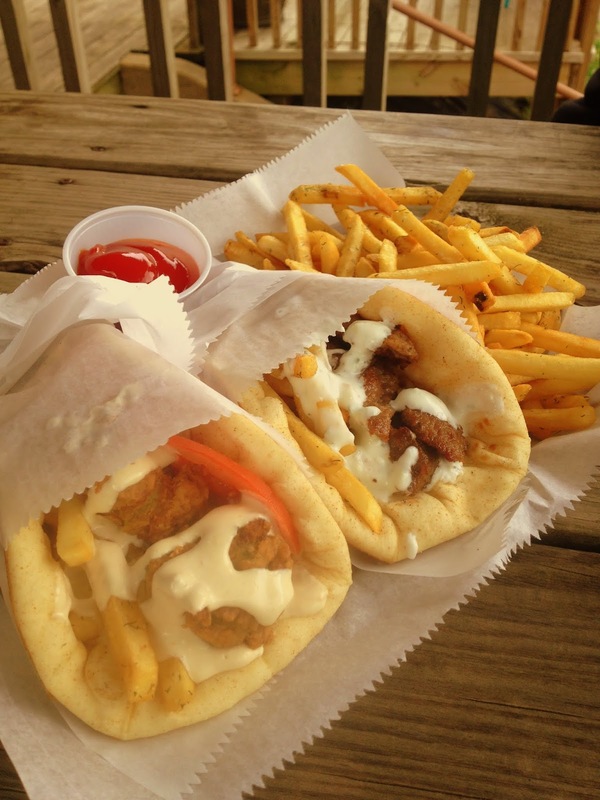 I went with the lamb gyro & Paige had the falafel. This place rocks! The Nomad's Natural Plate food truck is usually on Dickson Street in the Night Birds book store parking lot. For more information check out the link below.